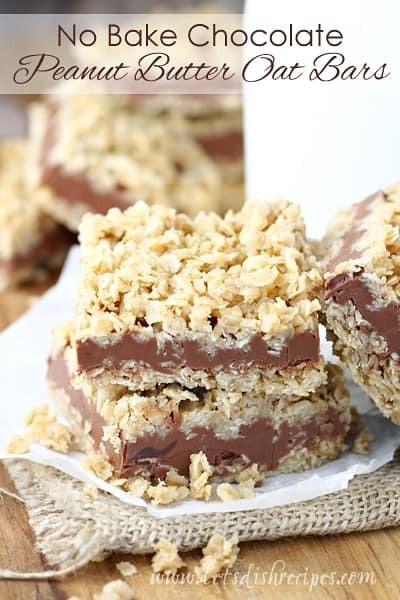 NO BAKE CHOCOLATE PEANUT BUTTER OAT BARS — Classic no-bake cookie ingredients like chocolate, oats and peanut butter come together in these layered, no-bake cookie bars. 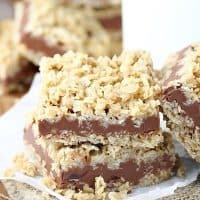 I love a good no-bake cookie, and these No Bake Chocolate Peanut Butter Oat Bars are the perfect treat to make when you don’t want to turn on the oven. No-bake cookies are a great way to get kids safely involved in the kitchen, which is one of the many reasons I love them. They’re also great during warm weather, when baking is just out of the question. 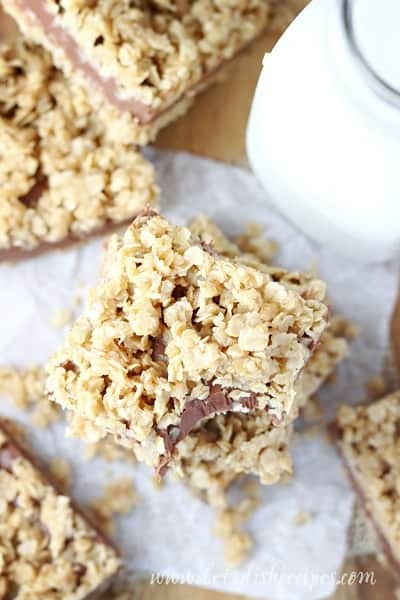 My husband and I both grew up making and eating the classic no-bake cookies with chocolate, oats and peanut butter, where everything was mixed together and spooned onto wax paper. This recipe has very similar ingredients, formed into nice, distinctive layers. I like to think of them as a fancy no-bake cookie. I usually use semi-sweet chocolate chips in this recipe, since that’s what I have on hand most often, but milk, dark, or even a combination would work just as well. These no-bake cookies will require some refrigeration before you cut them into bars. However, they taste best at room temperature, so I recommend letting them sit out for about 10 minutes before digging in. Of course, one of my favorite things about these cookies is that my kids can make them without supervision. Perfect for when I’m having a chocolate cookie craving, but I’m also feeling too lazy to get up and bake something! As far as I’m concerned, a good no-bake cookie recipe is something everyone needs in their recipe repertoire, and this one is sure to become a family favorite! 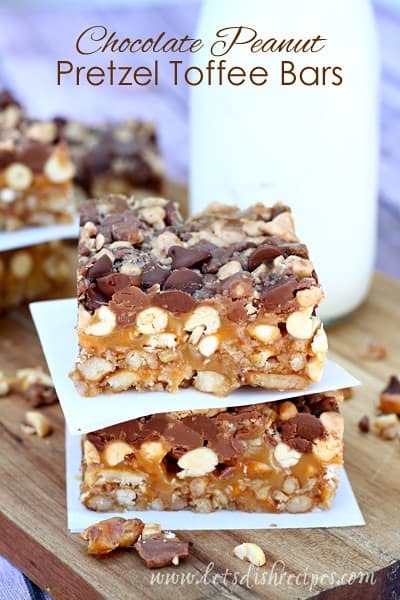 Be sure to save this recipe for No Bake Chocolate Peanut Butter Oat Bars to your favorite Pinterest board for later. 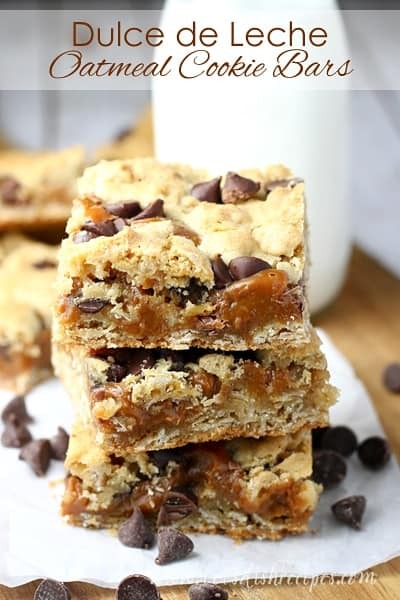 Classic no-bake cookie ingredients like chocolate, oats and peanut butter come together in these layered, no-bake cookie bars. In a large saucepan over medium heat, melt butter. Stir in brown sugar, vanilla and salt. Mix in the oats. Cook and stir over low heat for 2-3 minutes, until ingredients are well combined. Melt chocolate chips and peanut butter in a small saucepan over low heat, stirring frequently until smooth. Pour the chocolate mixture over the oat layer in the pan and spread evenly. Sprinkle the remaining oat mixture over the chocolate layer and press in gently. Cover and refrigerate for 2-3 hours or until firm. 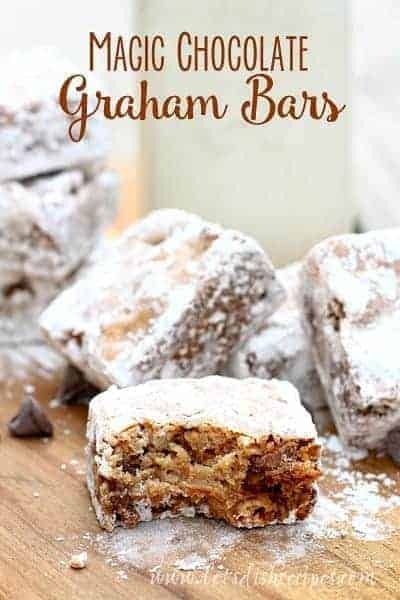 Cut into bars and serve at room temperature.